True coffee convenience on the go! Rich, delicious coffee shouldn’t be difficult to find. That’s the inspiration behind the London Coffee Bag. It’s just like a teabag, but filled with rich and expertly sourced coffee, ground to perfection just for you. Ideal at home or on the go, these innovative little bags are your very own filter coffee maker! 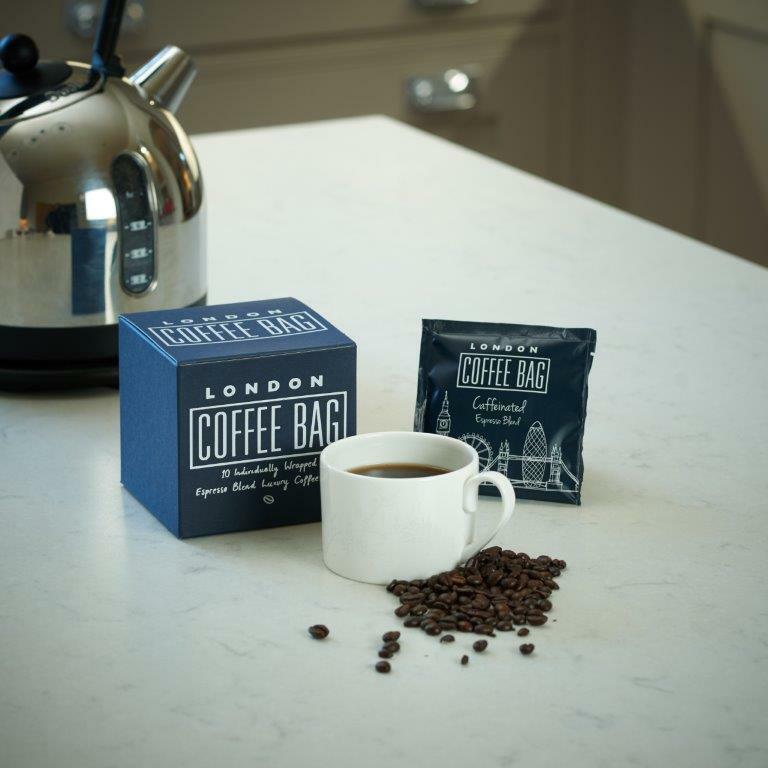 The London Coffee Bag is the perfect in-room offering for hoteliers and offices, providing a quality filter coffee made quickly and easily, served either in your coffee cup or brewed in a coffee pot. 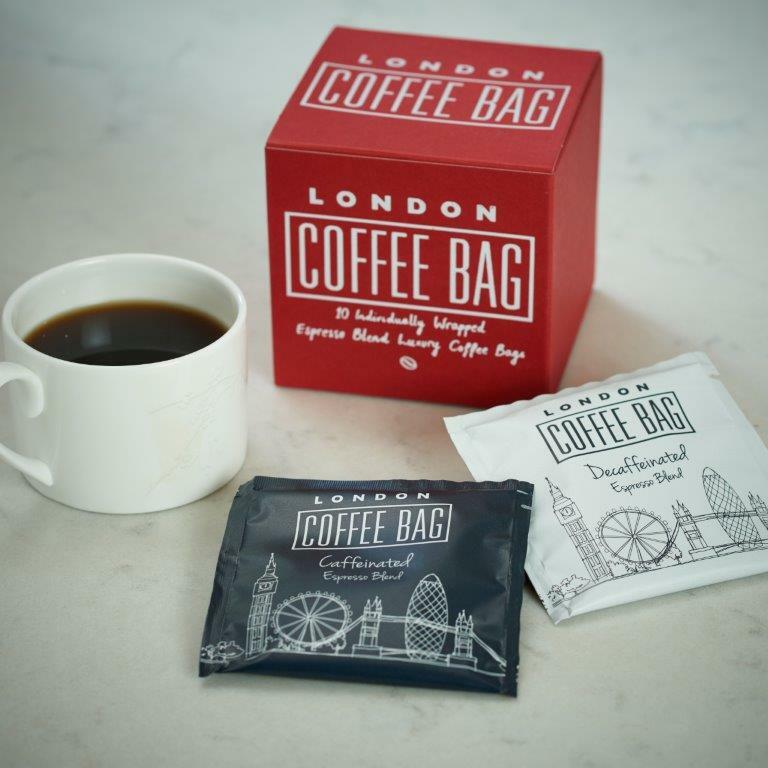 London Coffee Bag have a passion for quality coffee. With years of coffee roasting and blending experience, they produce an individual gourmet ground coffee. These are conveniently served in an individual filter bag so that you can have a quality filter coffee wherever you are! “The capsules can’t be recycled easily because they are often made of a mixture of plastic and aluminium,” Jan Dube, spokesman of the Hamburg Department of the Environment and Energy. The complexity of the packaging – often a mix of different materials – combined with the dregs of organic waste from unused ground coffee sitting in the bottom of the pod makes them difficult to process in standard municipal recycling plants. There are other issues. “It’s 6g of coffee in 3g of packaging,” says Dube. Read more about coffee pod concerns here.